One of the biggest differences between food allergies and food intolerances is that allergies usually cause more severe symptoms that cannot be ignored while intolerances tend to cause milder symptoms. Because these milder symptoms seem to not cause any significant harm, people can make the grave mistake of ignoring them. If it’s not causing your throat to close up it can’t really hurt you right? One of the biggest risks of untreated food intolerances is chronic inflammation. If you are regularly consuming something that your body can’t digest properly, your immune system will create a state of chronic, low level inflammation. Chronic inflammation has been linked to cancer, Alzheimer’s, autoimmune disorders, heart disease, behavioural problems in children, depression, and many more health problems. Undiagnosed food intolerances are one of the causes of chronic inflammation. Some causes are unavoidable (stress, pollution, etc) but a food intolerance is definitely something you can treat in order to reduce the amount of chronic inflammation you have in your body. You just need willpower. Ask yourself: is the regular enjoyment of a particular food worth a chronic, crippling disease in the long run? Is it worth aging faster than you need to? Is your child’s need to enjoy a particular food greater than her need for lifelong health? Another major problem with undiagnosed food intolerances is insufficient absorption of nutrients. If your digestive system can’t break a food down properly, then your body can’t absorb all of the nutrients from that food. Malnutrition has an even longer list of health problems than chronic inflammation. You could eat all the healthy food you want but if you’re not able to digest it then what’s the point? Now for all of you paranoid hypochondriacs out there, there is no need to go and eliminate gluten, dairy, and eggs for no reason. 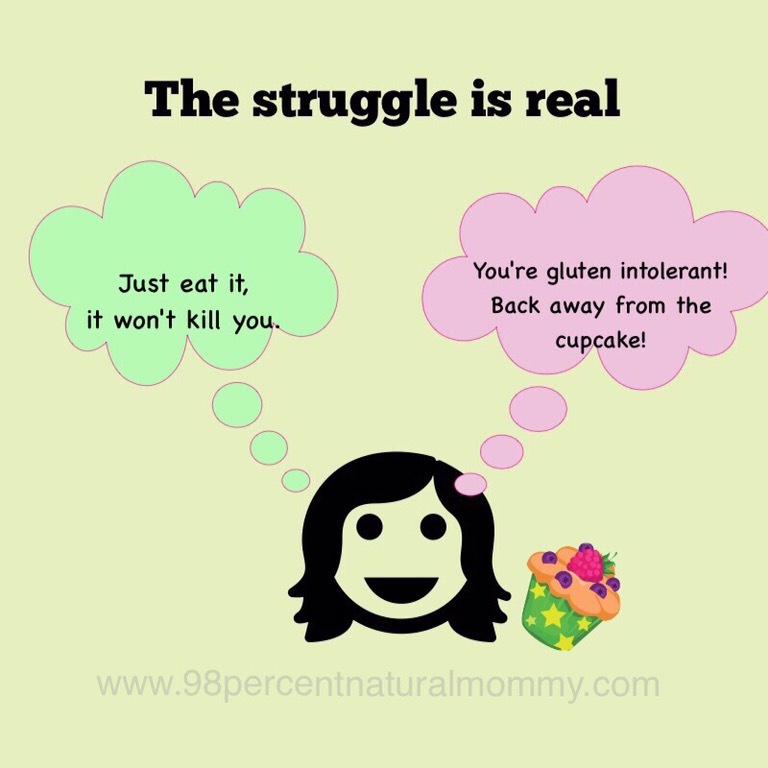 Make sure that you actually have a food intolerance before eliminating an entire food group from your diet. Get tested if you can, keep a food journal along with a symptom journal, and/or try an elimination diet. And don’t forget to consider any nutritional “holes” you may be creating in your diet by removing a certain food. Make sure you are able to get any lost nutrients from other food sources or consider supplementation as a last resort. Seek help from a nutritionist if you find it difficult to figure out what you should and should not eat. Lastly, find other foods that you enjoy equally as much as the one you had to eliminate, because being miserable isn’t good for your health either!